Live action “Bleach” movie coming to Netflix in September!! As we all know by now, Disney has been rolling out live action remakes of their classic animated films since 1996’s “101 Dalmatians” starring Glenn Close and they have a few more waiting in the wings. 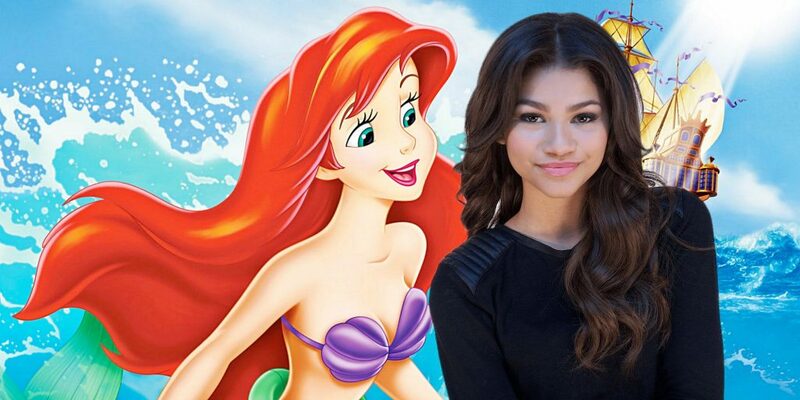 Among them include the fish-out-of-water drama “The Little Mermaid.” According to a report from That Hashtag Show, Disney is offering the titular role of Ariel to Zendaya Coleman. Zendaya has starred in several Disney shows including K.C. Undercover and Shake It Up. However, Disney has yet to comment on this but should this be true, that would make the live action Little Mermaid film all the more interesting, considering that the original 1989 animated film featured an all white cast. If this comes to fruition, Ariel’s father King Triton and her sisters will potentially be portrayed by people of color. Disney is not unfamiliar with casting people of color to portray their characters. The ABC series “Once Upon a Time” has done this in its seventh season, casting Dominican American actress Dania Ramirez as Cinderella. The series has also done the same in Season Two when Sinqua Walls, a black actor, was cast to play Sir Lancelot from “Arthurian Legend.” In an article interview in the September issue of Marie Claire, Zendaya Coleman talks about how she purposefully goes out for role written for white girls, stating that there aren’t many role written for black girls. In the interview, she says, “I always tell my theatrical manager, ‘Anytime it says they’re looking for white girls, send me out. Let me get in the room. Maybe they’ll change their minds.’ And, honestly, if there’s a part that I didn’t get or that I really wanted at the time, sh– always ends up working out.” Zendaya also says that her role as Michelle “MJ” Jones in 2017’s “Spider-Man: Homecoming” was not originally written for an actress of color. For Zendaya Coleman’s full interview, go to Marie Claire magazine’s website.